Alumni and friends of SAU are encouraged to help complete the Legacy Lane walkway. The walkway begins at the patio of the former president’s home and extends to the Millennium Bridge. How exciting to walk the lane and see your name and year of graduation! 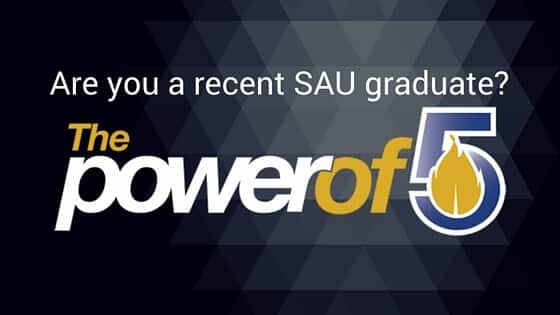 We invite you to become a permanent part of the history of SAU. Your brick will serve as a reminder of the strong foundation of education you received at SAU.